From the Head pie Facebook page. 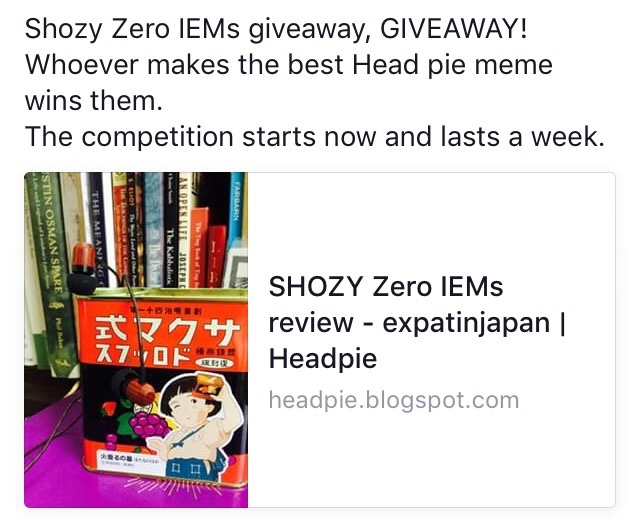 Post your Head pie meme in the giveaway thread on FB. Thanks to SHOZY for providing Head Pie with another pair of Zeros for us to give away. As for my personal pair, they`re keepers. I love em.